The most popular and trusted online payment system, Paypal likely comes with every feature you’d need. Accept credit and debit card payments without partnering with a credit card processing company. You can even receive payments in foreign currencies through Paypal, with a minimal exchange fee. Paypal also offers personal and business accounts, its own credit and debit cards, and business loans. Braintree allows you to accept customer payments from both your website and mobile app. It charges 2.9% with 30 cents per transaction after your first $50,000 in transactions. Dwolla is a customizable, developer-friendly platform for online payment. It allows the user to create a free account with no transaction fees. However, Dwolla is only available for making payments within the US. Owned by Visa, Authorize.net is a payment gateway dedicated to small- to medium-sized businesses. You can make domestic and some global transactions by accepting all major credit cards, e-checks, and digital payment options, including Apple Pay and Paypal. Additional features include automated recurring bills, a security suite, and syncing with Quickbooks. With a standard transaction fee, the system costs $49 to set up, with $25/month in gateway fees. 2Checkout specializes in secure business payments in nearly every country, with numerous currency options. With payment options through both online and mobile platforms, 2Checkout offers recurring billing and fraud protection, and accepts major credit and debit cards. It requires no set-up or monthly fees and only charges an extra 1% for each transaction. Square is a credit card processing company for small businesses. It lets users accept credit cards without any fuss and helps prevent fraud. You can accept credit cards and process gift cards with the Square app on both mobiles and tablets. Its only fee is 2.75% per credit card swipe. 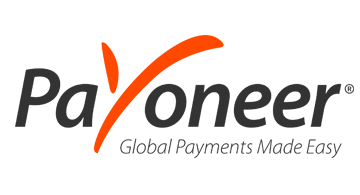 Payoneer provides payment processing solutions and mass payments to customers worldwide. You can make transactions using your local bank account or Payoneer prepaid Mastercard, or you can buy online through Payoneer’s affiliated store. And it works with 200 countries and 150 currencies. Known for active service, security, and transparent processes, Heartland charges no fees from payments made with major credit and debit cards, Apple Pay, Samsung Pay, Android Pay, and more. Its robust security focuses on EMV, tokenization, and end-to-end encryption. Cybersource has features like gateway and processing connections, digital wallets, digital payments, debit and bank transfers, global tax calculations, and more. It offers customizable pricing for businesses of different sizes. With 150 payment solutions, PayXpert manages more than 40 currencies and 40 countries. The system includes features like online and mobile payments, credit card processing, data encryption, and a virtual terminal. Its transaction rate is 1.5%, depending on a company’s volume and associated risks. The above list is just a sampling of the payment companies available to you, but they offer a variety of services, including global payment processing, credit card processing, digital payments through e-checks and e-cash, and cryptocurrency payments. As your business expands, so may your payment requirements. What’s your end-game? Consider the payment option that will grow with you. This article is by Prakhil Samar from toolowl.com. How Much Money Can You Save Switching to Hosted VoIP?